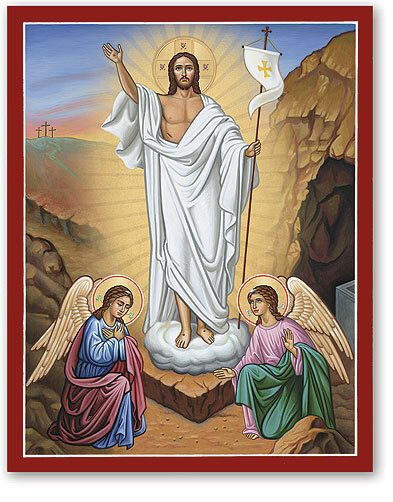 Resurrexit sicut dixit, alleluia! -- He has risen as He said, Alleluia! I AROSE, and am still with Thee, alleluia: Thou hast laid Thy hand upon Me, alleluia: Thy knowledge is become wonderful, alleluia, alleluia. Let God arise and let His enemies be scattered, and let those who hate Him flee from before His face. As smoke vanishes, so let them vanish as wax melts before a fire. Glory be to the Father, and to the Son, and to the Holy Ghost, now and ever, and forever. Amen. On Wednesday, 20 March 2013, Woodlawn Council 2161 Traditional Latin Mass Guild sponsored a Mass for the intentions of our new Holy Father, Pope Francis. Fr. Gregory Plow, TOR, Franciscan University of Steubenville, offered the Mass for Wednesday of Passion Week at the side altar of St. Titus Church, Aliquippa, Pennsylvania. 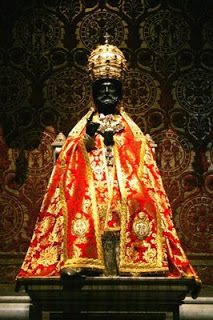 WE MOST humbly entreat Thee, O Lord, that Thy boundless goodness may grant as bishop to the most holy Roman Church one who shall ever be both pleasing to Thee, by his loving zeal in our regard, and, by his beneficent rule, deeply revered by Thy people to the glory of Thy name. Through our Lord.